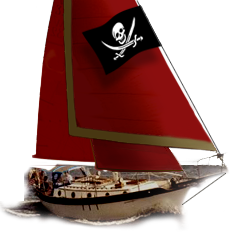 Westsail Owners Alliance - Thread: "Mores Stuff From Our Restore - Chainplate - Bobstay Fittings - Turnbuckles, Etc"
Thread: "Mores Stuff From Our Restore - Chainplate - Bobstay Fittings - Turnbuckles, Etc"
Great deals for making sure you aren't caught with your sails down. I once had to replace a tang in the Bahamas and was sweating it there for awhile while waiting for one to arrive. Would have been nice to pull one out of a locker. Bud informs me that the bobstay fiting WS had installed was a actually a fitting for a 32 with the 5/8" clevis pin. Just an FYI. He tells me that the 42 had a 3/4" eye and wider ss piece. Don't know how many 42/43 actually had the one drawn in his manual as a friend of mine has a 43 with exactly the same fitting.